Today I want to talk about Flash Grids and why they are a must have accessory for controlling your light. Getting the most from your flash involves taking control. It’s important to place your flash where it will create the best illumination and shadows. On my hot-shoe flash I almost always keep a Sto-fen difusser attached to help soften and scatter the light for more pleasing results. Another great accessory I use often is a flag (also called a bounce card, flash bender or 80-20). People who follow me on this blog also know that I’m a huge user of colored gels to create unique looks or to match my flash with the available light. But another way to take control of your flash is to use an accessory called a grid. In this blog I’ll talk about the hot-shoe flash grid system I use. Grids are simple devices that are used to control the directionality of the light. With a grid installed your flash will have a reduced area of coverage. This lets you put emphasis on something important in your shot or it can let you put a rim light behind your subject without flaring your lens. This diffuser scatters light a lot like the wide angle adaptor but with a little more of an emphasis on the center. Using the Sto-fen Omni-Bounce can help soften shadows while still giving you good illumination where you’re pointing the flash. I’ve found that keeping the Omni-Bounce installed when I use softboxes and umbrellas really helps to create soft light for portraits. This is a super tight hot spot and it’s awesome for putting a small touch of light exactly where you want it. I’ll use my 1/8″ grid when I need to get a little light into a portrait subjects eyes, for example. Using a grid to direct light towards an important element in a picture is great. But where grids really come in handy is when you’re creating a rim light. Rim lights are flashes that are placed to the side and slightly behind a subject to add a line of light that helps define shape and separate your subject from the background. I use rim lights all the time and they really help to make portraits look great. The only problem with rim lights is that when you get the position of your flash right it’s probably firing a bunch of light directly at your camera. Sometimes this is a really cool look and I know plenty of photographers that include the flash in the final shot. But sometimes you need to create a more traditional look and that means having rim light but not seeing the flash that’s creating the light. What a difference! Directly in front of the flash is a whole buch of light but it’s not blowing out the camera. You can see the case of the flash, there’s considerably more contrast, blacks look good and the flaring is completely eliminated. This is awesome. What does this mean for your photography? It means you can put a flash where it can create the look you want without worrying about the light from the flash messing up your shot. This looks pretty good but I think Perry is a little dark on the left side of the shot. Here’s a look at the lighting setup I used to capture the shot. The big white thing on the right of the shot is the shoot through umbrella. The rim light flash was positioned but you can see that it didn’t go off when the shot was captured. Now let’s turn that rim light flash on and see what the final shot looks like. Now let’s add in a grid to the rim light and see how the final shot would look. In this behind the scenes look you can see that the rim light flash is totally under control. It’s not flaring the camera lens and it’s not spilling onto the white table. This is the kind of control I look for when I use grids. And grids are not for small hot-shoe flashes. I have grids for my softboxes (all the way up to my 3′ octa) and they really help me to take control of my lights. I showed examples of how I use grids in a studio environment but I use them on location all the time. And don’t think that they are only good for rim lights. A grid on a main light can create a really cool looking spotlight effect and prevent background elements from being lit up when you don’t want them lit up. Here’s one last example of a shot I took last year of Alex and his trumpet. I lit Alex with a 3′ octa for a main light and I used colored gels to create the illusion of auditorium lights. I wanted to add color to the shot but I didn’t want to flood Alex with a bunch of colored light. In front of Alex I used a small flash with a magenta gel and a 1/4″ grid and behind Alex I used a 1.5′ Octa-shaped softbox with blue gel and an egg crate grid for a rim light. With the grids I was able to get the colored light exactly where I wanted it and I kept it away from Alex’s face and white shirt. I love using flash when I’m out shooting and accessories like gels, snoots, flags and grids are awesome tools for letting you shape, color and control your light. By using flash modifiers you can take total control of your light and that allows you to create your image exactly the way you envision it in your mind. If you have questions about grids please leave them in the comments below and I’ll do my best to answer them for you. This entry was posted in lighting how to, photography how to and tagged behind the scenes, how to, lighting by Monico. Bookmark the permalink. Brilliant article mate. Very well explained. I have a question about grids. I would like to know if there is a big difference between the flash grids desiged for speedlights and the ones for “big flashes” (like alienbees). Is it just that the bigger the flash, the bigger the spotlight diameter? Or can I get the same result moving away the speedlights from the background and increasing the speedlight power to balance the power of the light? Thanks for the comment and the question. I’ve found that grids (generally speaking) all pretty much do the same thing. They narrow the outgoing spread of light from the light source (preventing some light from landing on anything you don’t want lit). 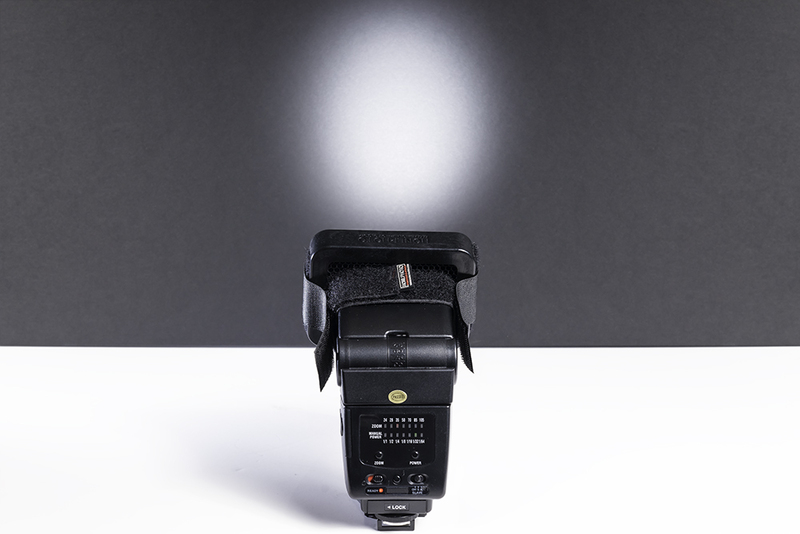 For a small hot-shoe flash the source of light is smaller so the grids keep things pretty tight. I have grids for my beauty dishes and softboxes and they help me keep light on my subject and off the background. I have an egg-crate grid for my 3′ octa shaped softbox, for example, and it’s great for lighting up a person while keeping some of the background dimmer. No matter what the size of your light source – adding a grid will alter the spread of your light. With a large studio strobe you still use some form of light modifier (like a beauty dish or a softbox). Grids help you change the look of the light modifier – not the look of the light source – so they will do their magic with small flashes or large flashes.